If this is true, they've done a much greater investigation job than the FBI did. What they believe they've discovered is posts from an IT specialist who was looking for advice on how to delete and remove content of very VIP emails. Apparently, somebody working IT for Hillary went to Reddit and asked Redditors if any of them knew how to do this! "Do you know how to strip/remove content from very VIP emails?" This request was made on July 24, 2014. You know what happened? You know what happened the day before? On July 23, 2014, a congressional committee chaired by Trey Gowdy confirmed a deal to get Hillary Clinton's records and emails. 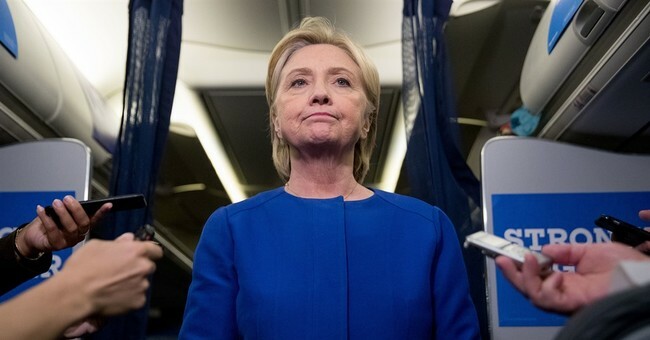 This is where the agreement was made that she would go through all 60,000 of 'em...So the very day after the Gowdy committee confirms it's going to get her records, a Hillary IT tech asks Reddit how to strip VIP email and email addresses from the archives of what she's gonna send. And this is considered to be a smoking gun. Guy Benson put these two dates together and tweeted it out. He's the political editor at Townhall.com. So this isn't gonna go away. This email -- everybody thinks we've seen the end of it. No, no. A lot of people on the left think we've seen the end of it but this continues to be a drip, drip, drip, drip, drip. If more media outlets pick up on what's happening, and provide the visuals to explain the significance of this discovery to a wider audience, he's right: This saga is far from over. But if it's dismissed as a weird 'internet thing' that's too confusing to bother with (I suspect young people familiar with reddit could easily grasp what's going on here), it could get buried. Conservative media should help advance this ball, and GOP members on Jason Chaffetz's committee might want to start turning up the heat. After all, this guy just refused to answer of any of their questions, then appears to have turned around and tried to destroy more evidence, this time of his own volition. The House Oversight Committee is reviewing a Reddit post that alleges an IT specialist who worked on Hillary Clinton’s private server sought advice on how to alter the contents of “VERY VIP” emails, according to Rep. Mark Meadows (R-N.C.). Meadows is the chairman of the panel’s Government Operations subcommittee. “The Reddit post issue and its connection to Paul Combetta is currently being reviewed by OGR staff and evaluations are being made as to the authenticity of the post,” Meadows told The Hill. Reddit users appear to have uncovered a two-year-old post from an account believed to belong to Combetta, an engineer with Platte River Networks. The Denver, Colo.-based firm managed Clinton’s private server.